These Buying-Selling rules (further – „Rules“) are a juridical obligatory document, which determines the Buyer (further – „You“) and Seller (further – „We“) rights, duties and responsibilities during the purchase of goods from this shop (further – „online shop“). The agreement between You and Us is considered to be approved when You have formed the cart, pushed the button “Order” and received a message by e-mail or text that Your order has been accepted. Each agreement between You and Us is registered and saved in Our online shop database. 1. Your rights: You have the right to order items in this online shop. You have the right to cancel Your order, informing Us about it by e-mail no later than 5 days prior to delivery of the items. 2. You are responsible: You have to pay the indicated amount for the items you have ordered. You are obligated to not disclose Your username and password to any of the third parties. If the third party is using Your username and password, then You are responsible for their actions. If You lose Your username and password, immediately inform Us by e-mail or phone indicated in “Contact information”. If any of Your registration data has changed, You have to update it as soon as possible. You must agree to follow the rules of this buying-selling agreement, as well as to not break the law of the Republic of Estonia. 3. Our rights: If the Buyer tries to damage the work or stability of online shop, We have the right to limit or stop the use e-shop or even annul Buyer’s registration, without any prior warning. We have the right, to stop (temporarily or at all) the activity of online shop, without any prior notice. We reserve the right to partially or fundamentally change these rules and online shop working conditions at any time. 4. Our responsibilities: As long as the determined conditions are met, we grant You the use of this online shop. We are obligated to deliver the ordered goods to Your indicated address within the determined time frame. We greatly respect Your privacy rights and Your private information provided to us. You have to make sure all data in Your registration form is correct. If You have indicated wrong or not accurate details, We cannot be held responsible for the consequences that may arise due to them. You are fully responsible for Your actions while using this online shop. We are not responsible for the information published on other websites that you accessed through the links on our online shop. We are sending all of our messages only to the address You indicated in the registration form. You are sending all of Your messages and questions to the address or e-mail indicated in the “Contact“. There is applied the law of Republic of Estonia to all points of these rules. All disputes arised due to management of these rules are being considered in the way of negotiations. In case of not succeded to come to agreement, the disputes are being carried following the determined law of the Republic of Estonia. We may change our terms and conditions at any time, so please do not assume that the same terms will apply in the future. Which countries does BeLinOr Textile ship to? We accept orders from and deliver to all countries worldwide! For delivery of goods we use Omniva Post Service (https://www.omniva.ee/eng). You will see the shipping costs at your “Checkout” stage after you enter a shipping address. 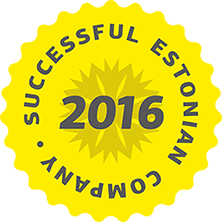 In European Union and outside the EU the goods are delivered to you by the usual mail of Estonia (Omniva). You will receive the parcel from the nearest post office. Mailing costs depend on the weight of the goods and the target country. Usually the delivery term to Europe is 5 days and to other countries around 10 days. If agreed separately, it is also possible to use other transportation types. WHAT SHOULD I DO IF I HAVE RECEIVED A FAULTY/INCORRECT OR DEFECTIVE PRODUCT? We want all of our customers to receive top quality goods so if you think there is a fault with an item you have received or it is with some defects, please let us know within 14 days after receiving it by contacting our Customer Support at info@belinor.eu. Include the number of your order and as many details as you can about the order and the problem with it, including a picture of the faulty/incorrect or defective product and we will try to get a solution sorted out for you. In the case of a faulty/incorect or defective item, return shipping is covered by us. WHEN DO I GET MY MONEY BACK AFTER RETURNING A PRODUCT? Upon receiving the returned item, we check if it hasn’t been used or further damaged. The exchangeable item must be in its original condition, including the tags and labels. If it meets our standards, your refund will be processed within 30 days after receiving the returned product. The goods are your responsibility until they reach our warehouse. Please ensure you package your return to prevent any damage to the items, as we are not responsible for any items that are returned to us defective. WHO IS RESPONSIBLE FOR SHIPPING EXPENSES? You can return/exchange items within 14 business days after receiving it. If you’re returning/exchanging an item because it was faulty or deffective, we cover the shipping. If the reason for your return/exchange is an incorrect size or you simply not liking the received item, then, however, you are held responsible for shipping expenses. Cut fabrics, demaged products, used and washed products. Therefore linen fabrics which are cut are not eligible for a refund or exchange according the law of Republic of Estonia (EU). CAN I EXCHANGE PRODUCTS IF I HAVE CHOSEN THE INCORRECT SIZE? Yes, you can. In that case, the return and new shipping costs are covered by the buyer. You have 14 days after receiving the item to file for the exchange.